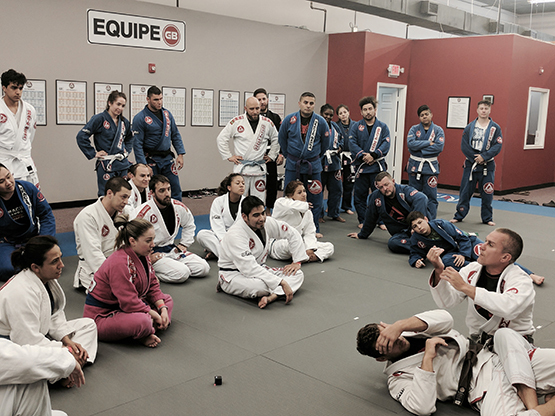 Brazilian Jiu Jitsu at Gracie Barra Champions is led by certified black belt instructors. Our head instructor Professor Andre Santos is from Brazil and began his training 27 years ago with Master Rickson Gracie. GB BJJ is for anyone who wants to learn how to defend him or herself in combat. What most people do not know, is that GB BJJ will also allow you to apply the same principles of combat sports to fighting the daily battles of life, like weight loss, stress, relationship issues, and self-confidence. You will learn how to think through problems more constructively than before, on and off the mats. The Gracie Barra Champions classes follow the Gracie Barra Program Structure developed by Master Carlos Gracie Jr. to meet specific learning needs from people with different ages, gender and levels. Our clean, friendly and progress oriented environment allows the students to have a challenging, inspirational and warm learning and training experience that always make them feel like coming back. 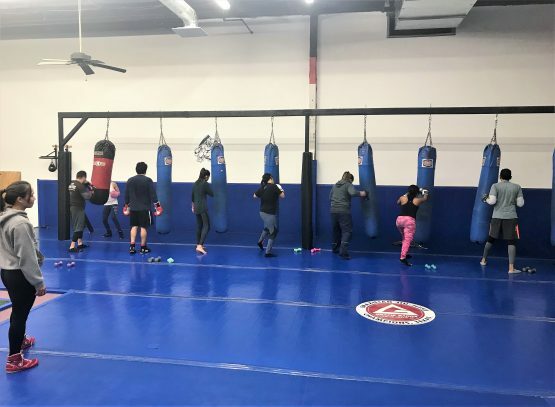 Our Kickboxing Program is led by great instructors who have been training and competing in the martial arts their entire life. These instructors have backgrounds in Sanshou Kickboxing, Muay Thai, and striking for MMA. Classes offer an intense workout while still focusing on teaching the student real kickboxing striking and footwork. We offer classes in the morning and at night Monday through Saturday. Classes are structured to accommodate beginners through advanced students. It’s no secret that boxers are among the best conditioned athletes. Strength, stamina, agility, and speed are the hallmarks of a boxer. Their rigorous and disciplined workouts can help you attain your physical goals, too. 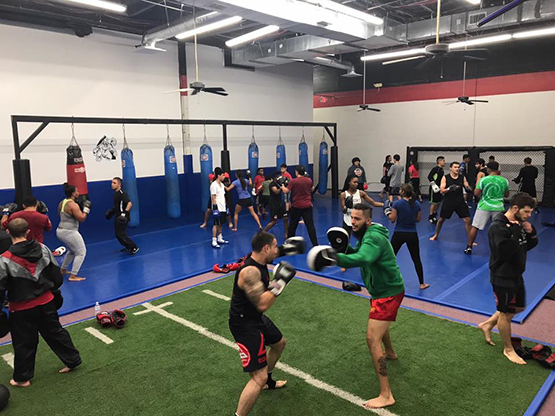 Whether you want to lose weight, release stress, get in the best shape of your life, or become a more competitive athlete, Gracie Barra Champions has a workout that will challenge your body and mind and put you at the top of your game. Our results-oriented workouts focus on developing a solid core and utilize your own body weight as natural resistance. Traditional boxing equipment is used, such as jump ropes, speed bags, mitts, and heavy bags. Emphasis is placed on shocking the muscles, so workouts are always changing. Workouts burn up to 1,000 calories! No boxing experience is necessary and all levels are welcome. Commitment to working hard is required. Our GB Fit Team is led by Coach K. Her classes include cardio and strength conditioning as well as boxing fundamentals to help her students reach their optimum fitness level. 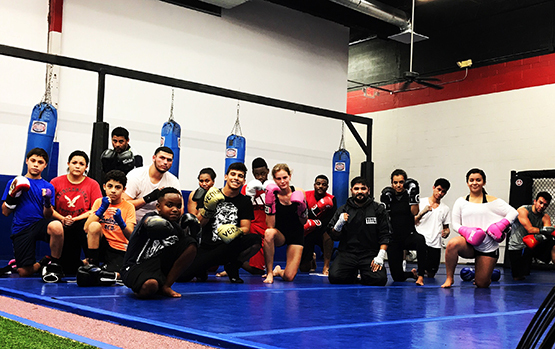 Her classes are comprised of parents working out while their children are training in our jiu Jitsu program, students working on improving their athletic performance, and even professional fighters preparing for competition.